I actually adapted this from my cupcake earrings, which I’ll share with you at some time. 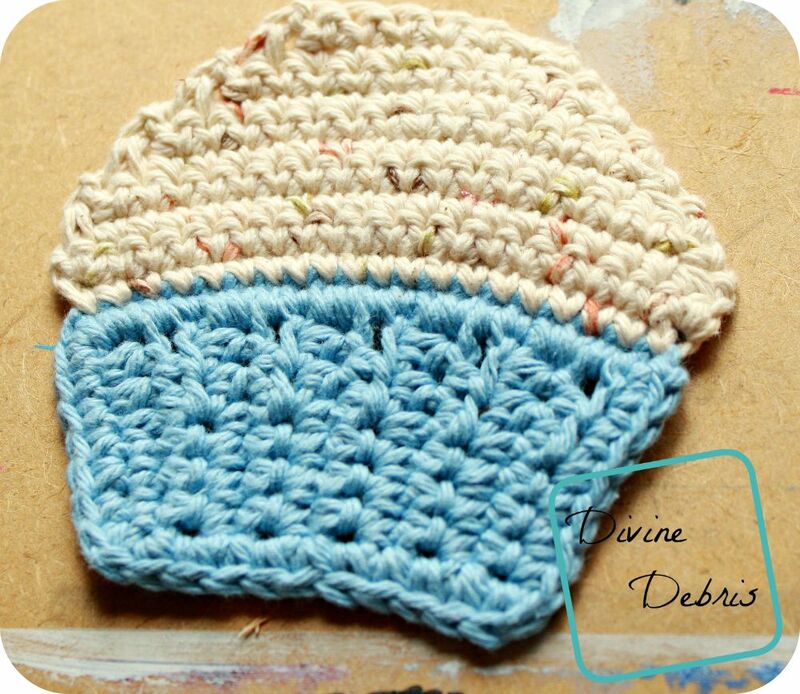 However, because I have a bunch of cotton yarn scarps and the other day I had time, I decided to work on my cupcake pattern. It’s rather easy and you can do it with less than an oz of 2 colors. I didn’t add a cherry or sprinkles, although it’d be great if I did. *You can replace the ch 2 with a chainless hdc. *This pattern is worked from the bottom up – back and forth and then you do a border on it. The top is worked back and forth on row 11 of the bottom. *The chain one does not count as a stitch. *Color A is blue and color B is speckled tan in the photos here. Tada! It’s a quick, easy, and very simple to customize and make your own. 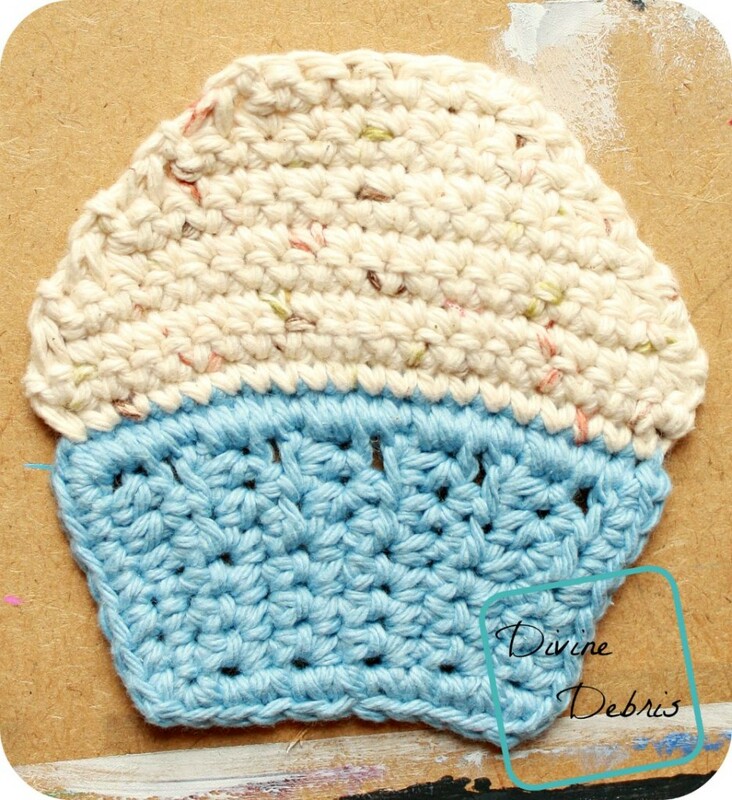 This is a fun coaster, as you can see in the photos, or you could make it an applique for a hat or scarf, it’s really up to you. I have this dream of a cupcake pillow, but that may have to wait for another post. I hope you enjoy this pattern and subscribe so you don’t miss a free pattern. This pattern was shared on Linky Ladies’ Community Link Part #11, Moogly’s Hookin’ on Hump Day #100, Oombawka Design’s Link and Share Wednesdays #104 and GS Heller’s Yarn Along. Super cute coaster pattern. Thanks for sharing! Visiting from Hookin on Hump Day. Super cute! 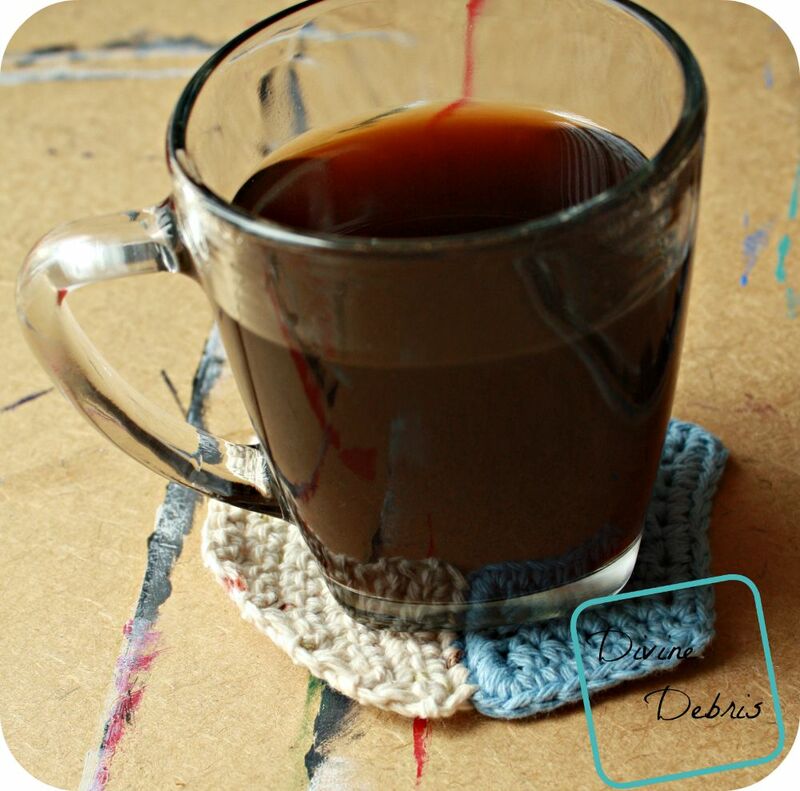 Love that it can be a coaster or applique. It would be perfect temporarily hooked onto a reusable bag for a birthday gift. That way, the recipient could have a cute bag, and a coaster too! Lovely little coaster. I like Wednesday’s – means it’s nearly the weekend. Are we beginning on the icing or the bottom?